Invisible Braces of Torrance provides a diverse range of options in straightening teeth and building healthy smiles! Your smile is one of your most noticeable features. When it is affected by misalignment, then it may influence how you feel about your appearance. Misaligned teeth can also lead to extraneous problems such as cross bites, overcrowding, and teeth gaps. These problems are difficult to address and can remain prevalent indefinitely. 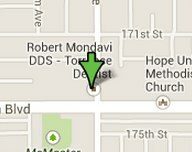 At Invisible Braces of Torrance, there are convenient and timely solutions to address misaligned teeth. Dr. Robert Mondavi specializes in delivering high quality Invisalign braces to his patients. This treatment provides people with an innovative method of straightening their teeth. With Invisalign, the teeth are straightened and cross bite problems are corrected. This is considered one of the best alternatives to traditional metal braces because of their transparent structure and simple application. Invisalign can give you the gorgeous smile you have always wanted! Dr. Robert Mondavi is a Preferred Provider of Invisalign in this practice and his team has provided Invisalign services for nearly a decade. Your teeth are in good hands when they are being treated through our expertise. Call today to schedule a complimentary consultation!